N’golo Kanté, Eden Hazard and Zlatan Ibrahimovic makes shortlist for 2016/017 PFA Player of the Year award – Royal Times of Nigeria. Chelsea’s star midfielder N’Golo Kante, Chelsea winger Eden Hazard and Man United striker Zlatan Ibrahimovic are on the shortlist nominated by the English Professional Footballers Association (PFA) for the 2016/017 player of the year award. 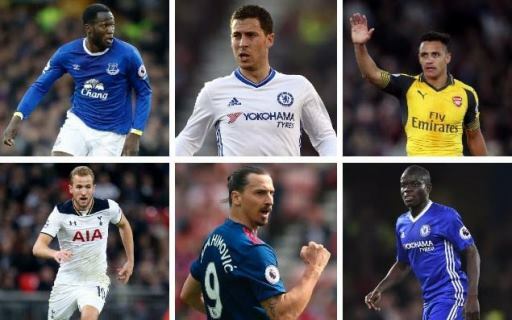 The six man shortlist includes Alexis Sánchez, Zlatan Ibrahimovic, Romelu Lukaku, Eden Hazard, N’Golo Kante and Harry Kane. The winner will be announced at Grosvenor House in London on Sunday, 23 April.